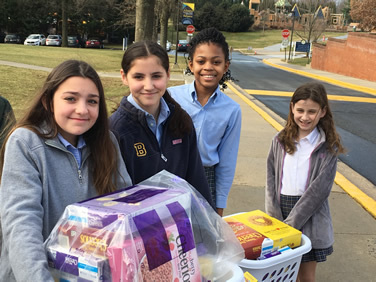 Last year, Bullis celebrated 10 years of collecting health cereal for Manna Food, and gathered more than 900 boxes. This year, the community came together like never before and shattered that number, collecting a whopping 1,991 boxes. 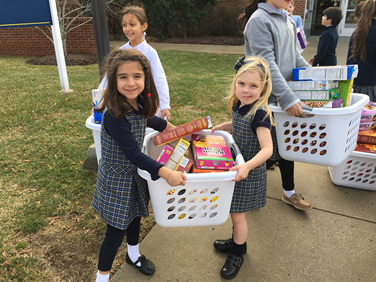 The Lower School came together to gather the boxes in laundry bins and load them on to the Manna Food truck. 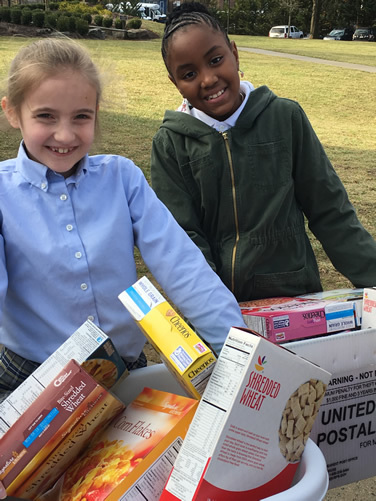 Each year, this project brings teachers, students, staff, and parents together to gather healthy cereal that will supplement the pantries of needy families throughout Montgomery County through Manna. In the 11 years of the Cereal Drive, the Bullis community has donated more nearly 14,000 boxes to Manna!